Renowned NGO BRAC has published a new job circular January 2018 for several posts on its official website and the national daily newspapers. The job is just charming and gorgeous. 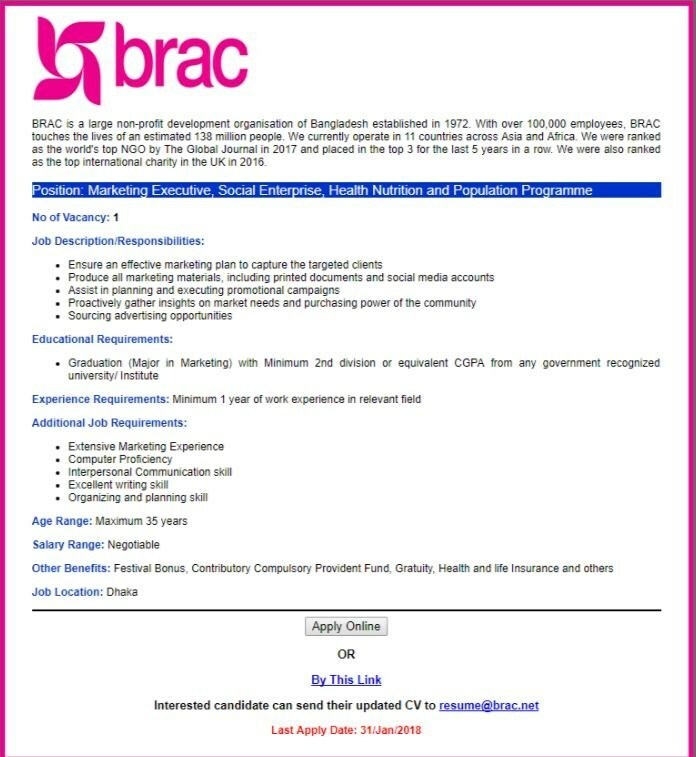 Apply BRAC January 2018 job and make a beautiful career. Brac Job circular publication date is 22 January, 2018. Brac job last date of application is 31 January, 2018. It is a non govt. NGO full time job. 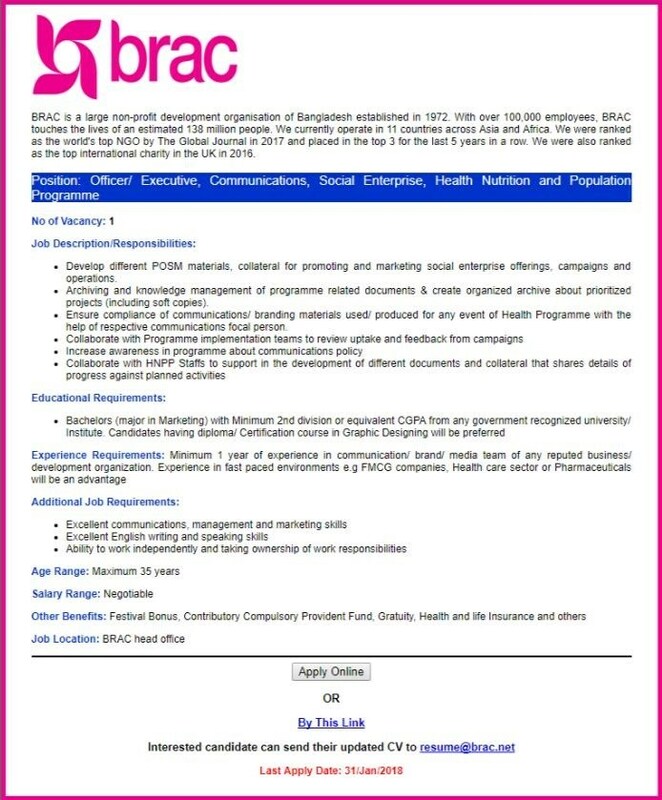 Send your Resume / CV at this email - resume@brac.net . You can also apply online. See the circular instructions carefully. Age should be less than 35 years. 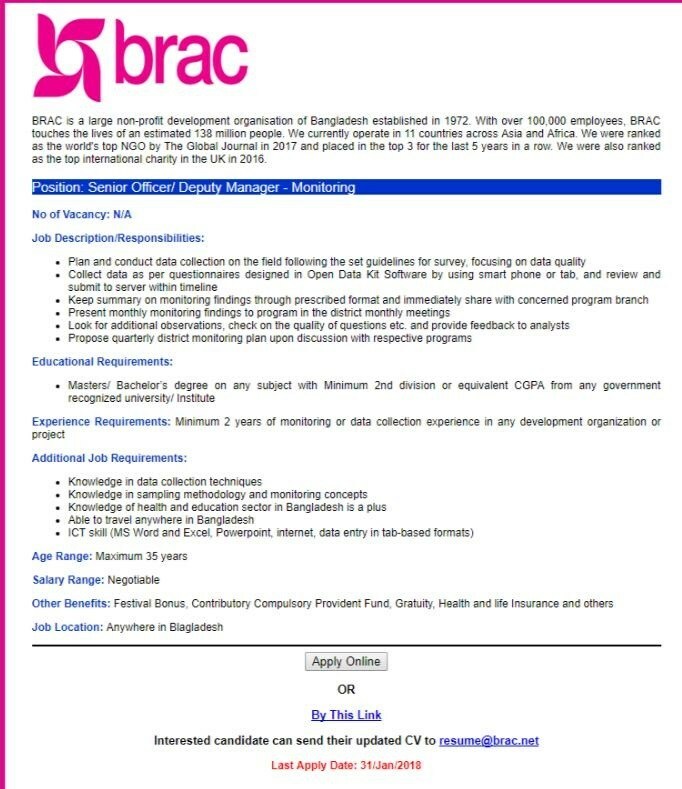 Details about Brac Job is on the following image. Good luck for your career at BRAC.